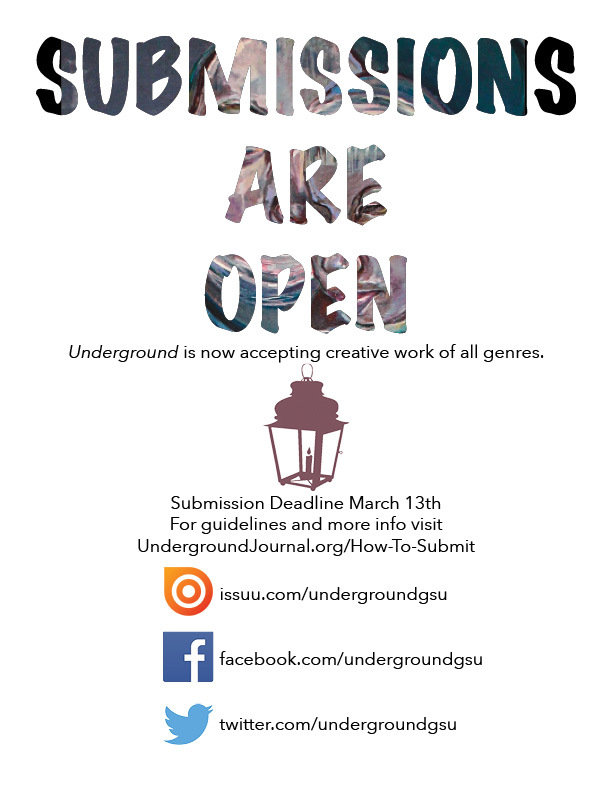 Want your work featured in the Spring 2015 issue of Underground? View our submission guidelines to see how you can make it happen. Spring submissions are now open until midnight on March 13th. The staff is eager to review your creative work.